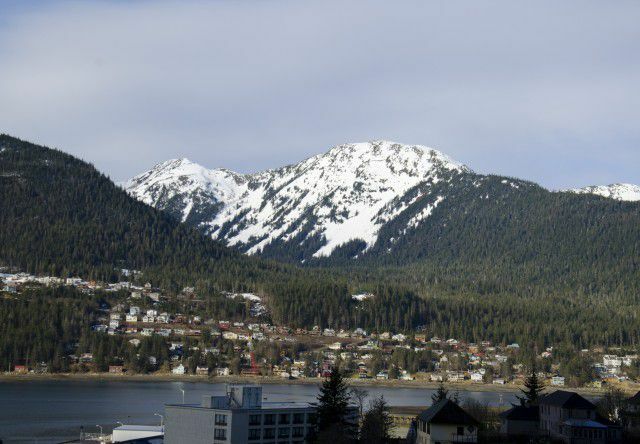 Chapter two of our “Weekend at Westmark” series takes us to Alaska’s capital city of Juneau. Nestled in the mountains of Southeast Alaska, Juneau is an iconic destination with a mild climate and incredible scenery. From the moment you arrive, marvel at panoramic vistas of lush mountains rising behind the pristine ocean shoreline. But your first impression is just the tip of the iceberg! Juneau’s sights will awe you again and again, and will have you planning your next trip back before you even leave town. The Westmark Baranof Hotel is located right in the heart of downtown Juneau, offering guests an ideal home base for any Southeast adventure. The hotel was built in 1939 and retains its historic elegance and charm with art-deco interiors and original artwork by Eustace Ziegler and Sydney Laurence, a few of Alaska’s most renowned artists. Hungry after a long flight or ferry ride? Swing by Coppa, a local eatery that’s home to award-winning artisanal ice cream flavors, including a rhubarb sherbet that took home the first-place prize at Alaska’s “Shark Tank”-style competition dubbed “Pitch on a Train.” Other flavors, rotating daily, include green tea basil and Alaskan Brewing Co. Smoked Porter brownie and bacon pecan. If you desire something other than ice cream (although we can’t imagine that), Coppa also offers homemade soups, salads and fresh-grilled paninis daily. For a meal that’s a bit more substantial, don’t miss The Rookery Café. Voted the number one restaurant in the Juneau Empire’s Reader’s Choice Awards, The Rookery Café bakes all its own breads and serves up specialties like seared halibut with Gustavus zucchini, kalbi-marinated steak and cedar-roasted silver salmon. Also noteworthy is the restaurant’s own chef Beau Schooler is currently a semifinalist for the “Rising Star of the Year” award, presented by none other than the James Beard Foundation. Finally, you won’t want to miss out on some of Juneau’s entertainment offerings. Catch a live show at Perseverance Theatre and enjoy a professional production performed by local talent. If you find yourself in town during the weekend of April 10, you’re in luck! The completely free Alaska Folk Festival will take over downtown, offering world-class performances by local and national musicians. Head on over to Centennial Hall to enjoy the music and maybe even dance to a few tunes. When your weekend has come to an end and you’re headed home, don’t forget that you can always come back for more. The ice cream flavors might be different next time, but Juneau’s charm and beauty are here to stay.